IGNOU OPENMAT 2017 Application Form: Indira Gandhi National Open University (IGNOU) has released the official notification related to the OPENMAT (XL & XLI) for admission to Management Programme (MBA) and PG management diploma courses. So the interested candidates are asked to download the notification and go through the official notification carefully before filling the IGNOU OPENMAT Online Application Form 2017. Candidates need to read the official notification carefully before filling the application form. If any aspirant found ineligible at any stage of the admission process, the candidature will be cancelled without any prior intimation. Students who want to join in the management courses in Indira Gandhi National Open University (IGNOU), they should appear in the OPENMAT 2017 Examination. If you are having any queries related to the IGNOU OPENMAT Registration Form 2017, then comment it briefly in the box available below. We will contact you back as soon as possible to clear your queries. If any delay occurs from our side, then post another comment. One of our team members will contact you through the email and solve the problems regarding the IGNOU OPENMAT Online Registration 2017. Educational Qualification: Bachelor Degree in any discipline with 50% marks (general category). 45% marks needed for reserved category. The application form is available in the official web portal. The link to download the form is provided below. Then take the harp copy of it in A4 sheet only. Before filling the application form, read the instructions carefully. Sent the filled application form to the Registrar, IGNOU by post before last date. 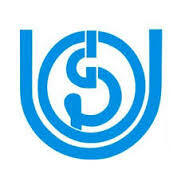 Address: Registrar (SED), IGNOU Maidan Garhi, New Delhi-110068.